Maya was being particularly stubborn that morning. She had made a grand and majestic entrance, floating past our group of admirers looking every bit the brilliant matriarch. But she quickly lost interest. Maya dawdled along, only paying mind when it suited her. Her handler apologized profusely. We were told Maya’s lethargy might have been because she was nervous, but more likely because she recently gained a bit of weight. It was a blunt admission and had Maya not been a good distance away, could have ruffled some feathers. Instead, in the next instant, Maya proved why just being in her presence was a rare enough experience to warrant her ambivalence and our complete infatuation. She scaled an enormous pine tree and then, without hesitation, launched from its peak like a sprinter off the blocks. Her delicate body gathered unfathomable speed as it plunged into the clear blue Irish sky. But then, against any laws of physics my lay brain understood, her body snapped level, and darted parallel with the gravel. My family and I observed the aerial acrobatics in awe, not comprehending the considerable momentum Maya continued accumulating as she rocketed silently towards her predestined target: me. Before I could blink twice, Maya slammed into my outstretched arm with the force of an all-star fastball. Her power was wholly unexpected and my shoulder recoiled as if I had just fired a rifle. But then Maya the Harris Hawk settled comfortably on my forearm, consuming her reward of raw chicken bits. Flying a hawk at the Ireland School of Falconry – or a Hawk Walk, as they call it – is a rare, nostalgic joy uprooted from Irish tradition to engage and excite modern families. Located on the grounds of Ashford Castle in Cong, County Mayo, Ireland, the School of Falconry is tucked away in a shady wooded glen. For an entire morning, my family soaked in the finer points of hunting with hawks, falcons and other raptors, during our falconry session. Led by our falconer guide, we strolled through Ashford Castle’s expansive gardens and forests. When not on our arms, our three selected hawks Maya, Chico and Aztec, followed high above. The birds kept constant eyes on our group, but were otherwise invisible, except when they shot between tree perches like lightning bolts playing hopscotch. With its veritable menagerie of predator birds, falconry is one of the more whimsical and intimidating adventures one can have at Ashford Castle, but it is not solitary in its distinctiveness. This luxury resort boasts numerous unique Irish experiences, such as clay pigeon shooting and archery. Golfers enjoy the resort’s lush links, while ferry tours whisk visitors out onto the adjacent lake for a panoramic view of the castle estate and the surrounding mountains. Nestled on 350 acres along the shores of Lough Corrib, Ashford Castle, a Thirteenth Century estate, is itself reason enough to trek to the west coast of the Emerald Isle, about an hour north of Galway. Luxury can mean a lot of things, from lavish accommodations to decadent cuisine to overflowing hospitality to adventurous activities. At Ashford Castle, luxury means all of those things. Regularly discussed as one of the top hotels in Ireland if not the world, and with a list of recent accolades resembling a royal lineage (2016’s top hotel spa in Ireland, best 5-star hotel in Ireland, ranked number two on Travel + Leisure’s 2017 list of the best resort hotels in the UK and Ireland, one of the top 5 hotels in Europe), Ashford Castle needs only to open its history-worn doors to enrapture guests. A stay here cannot be replicated. Just approaching the resort via car is a trip back through time. After pulling off the country road at the guardhouse, a winding path spills over green hills, past a country home doubling as a golf center and tea shop, over a rushing river via old stone bridge, and through an open-armed fortification. Within the walls, history melts into modern day. The castle retains all the charm of a medieval estate, complete with suits of armor and period paintings. The castle’s illustrious history dates back to 1228, and has been home to the noteworthy, including the Guinness family. But today, Ashford Castle is a fully modern 5-star Red Carnation resort, where lush common spaces and lavish rooms with heated bathroom floors could satisfy royalty of any era. Plenty of Hollywood royals have visited, catalogued in a photo-adorned hallway, some pictures decades old. The castle and grounds even provided the setting for the 1951 film, “The Quiet Man” starring John Wayne and Maureen O’Hara. But even with such grandeur, the little, more personal things were what made Ashford Castle unforgettable. For example, the estate’s two enormous wolfhounds greeted families in the lobby each afternoon, their reward being a good belly scratching. And on the morning of St. Patrick’s Day, the staff placed a bowl of real shamrocks with shears in the lobby so guests could cut their own Irish adornment, all while a bagpiper welcomed the morning with music in the courtyard outside. Then there was breakfast – a sprawling, sumptuous affair spilling over with fresh salmon and fresher scones. While those treats were delectable, it was the humble granola that shined, when doused with the provided bottle of Connemara Peated Irish Single Malt Whiskey. The little placard urged guests to have their morning meal like the locals. These thoughtful touches helped elevate the Ashford experience. But nothing at Ashford Castle gets as elevated as its raptors. I had never held a Harris Hawk before, or any other bird of prey for that matter, which was why I was so enamored with my falconry experience. But nothing prepares you for the juxtaposition of the invisible power resting inside these birds. Maya weighed nothing at all. If I closed my eyes, I would have thought a few leaves or bag of cotton balls was perched on my arm. How could such a delicate creature exert such ferocious impact? Then Maya reminded me that, despite her recreational purpose at the Ireland School of Falconry, she was a wild predator concealing intense strength within that airy, feathered frame. Her talons squeezed as she shuffled seeking a more comfortable position, and I could feel their points through the thick protective leather glove. The series of rapid, dog-bite grips scattered up and down my forearm were unaggressive but absolutely intimidating. I was captivated, unable to take my eyes off this massive, weightless, powerful, terrifying, and stunningly beautiful creature. Maya must have sensed me looking. She snapped her head around; her obsidian eyes stared directly into my own. The falconer said she was sizing me up. I must have met her standards because the release of tension in her body was noticeable. She turned her head frontwards and as much as a hawk can, she relaxed. But then the falconer told us to prepare for the release. My brother and father nearby stepped forward and swept their outstretched arm outwards and upwards. Their hawks popped into action. When my body too began to move, Maya instinctively, immediately tensed. I stepped along the gravel and threw my gloved hand forward, electrifying the bird. Her body burst from my arm like a firework, rocketing forward with such force I was knocked slightly off-balance. Maya overtook the other two birds, Chico and Aztec, soaring past them while still low, buzzing the emerald grass. She gracefully arched upwards, cutting through the wide tunnel of pine trees and soared high into the blue Irish sky. SORRENTO, ITALY – One continuous, artistic slit with his pocketknife and the old man cut away the entire dimpled rind of an oversized lemon. Then he stepped away from the fruit stand, cradling a naked yellow citrus, blade still bared. Without breaking stride, with his feet or his knife, he pierced the exposed lemon, popped out a wedge and slid it straight into his mouth. The sun, filtering down past the awnings and laundry lines, illuminated his stoic face. He did not flinch. He did not pucker. He just repeated the step, until he ate the whole lemon. Then the pocketknife was pocketed and the old man continued strolling past tourists and locals alike, with a sunny smile on his face and the leathery, yellow coil of the lemon peel bouncing from his sun-cracked fingers. Fresh, frozen, liquefied, baked, fermented, candied, etched, painted – there are innumerable iterations of lemons here in Sorrento. But luckily there are plenty of locals, promenading old men included, who have refined their citrus skills to a more memorable point. Perched upon a high bluff overhanging the Bay of Naples, in close proximity to Pompeii and acting as the gateway of sorts to the rest of the Amalfi Coast, Sorrento’s tourist appeal is heavy. And to satisfy the masses, the lemon-centric theme is abundantly front and center, infused in most everything you eat, see, smell and feel. Lemons are featured menu options, role player ingredients, garnishes, fragrances, decorative patterns, snacks, souvenirs and sightseeing stops. Sorrento’s ‘dolce vita’ is unabashedly tart. But a more authentic, and easier, way to experience Sorrento’s lemon obsession is to get lost amidst the town’s patchwork of cobbled, uneven, sea-bound roads, some main thoroughfares but others barely wide enough for a scooter (although riders still manage with speedy ease). Wander and you’ll find a more genuine Sorrento: a veritable treasure trove of lemon-soaked hidden gems. Peering through gates and over stonewalls, I noticed bright yellow citrus trees filling residential gardens and backyards. Tucked away specialty shops featured lemons on their artisan items, like a woodworker who crafted stunning wooden jewelry boxes and photo albums, inlaid with delicate lemon tree landscapes. Meandering along Via Correale led my family to a veritable Italian Eden, hidden behind massive stone walls, through an old archway adorned by a sign promising refreshment from the brutal summer sun. This was Il Gardini di Cataldo, a family limoncello maker. There, under the shade of umbrellas and tree limbs, we cooled off with fresh lemon granitas, icy concoctions made from the establishment’s main attraction. Despite no tours going on, we were allowed to pop inside their factory and see the rows of limoncello bottles. Then we tasted. In a town doused in the liquor, the Cataldo limoncello was puckered perfection. It went down smooth and tangy, with a sweet finish and barely any alcohol aftertaste. Of course, we left with a few bottles of our own. The fairytale continued when we entered a nearby lemon grove, L’Agruminato. We climbed a stone stairway, entered the elevated public space and were immediately hit with a pungent citrus aroma. Lemon trees, loosely wrangled by rustic wooden fences and trellises, scattered in all directions away from a central path. We were mostly alone during our peaceful stroll among the arbors, until we reached the end of the path where a kiosk waited to offer us free limoncello samples made from the park’s fruit. It was an iconic Italian experience – the sheer beauty of nature and what humans can do with it, finished off with free booze. Of course, in Italy, the food is what makes the most vivid memories and in Sorrento, lemons made the most memorable food. Take the gelato – of which we partook at least twice a day (it was hot). At Raki, a small shop slipped in next to a colorful fruit stand overflowing with massive peaches and lemons, my daughter shoveled a combination of peach and lemon gelato into her tiny mouth. On the other side of town was Davide il Gelato, a larger ice cream shop where the kiwi flavor was interwoven with chunks of actual kiwi fruit and the tiny black kiwi seeds gave the impression of natural chocolate chips. But as is fitting for lemon-centric Sorrento, the most memorable flavor at Davide il Gelato was its succulent limoncello. The perfect balance of tart and sweet, it was a frozen aperitif. Fine dining restaurants here feature lemons in various ways, from sweet to savory. But as is the case in so much of Italian cooking, freshness and simplicity reigned supreme. Mt. Vesuvius loomed in the distance as we sat seaside at Ristorante Bagni Delfino. The fishing boats came and went and my family discussed what life must have been like back in the ancient times. Then our meal arrived, perhaps reminiscent of that older, more modest era. I ordered a branzino, simply grilled. The only seasoning was the dousing of fresh lemon juice, applied by the waiter after he sliced and served the fish tableside. As one of the top restaurants in Sorrento, Delfino’s dish was expertly prepared, pairing fresh fish recently plucked from the adjacent sea with fresh lemons recently picked from nearby trees. Sorrento’s premier dessert, delizia al limone, is a shining pillow of moist, spongy lemon cake covered in a smooth lemon cream dome. Like its lemons, Sorrento is a vibrant city that needs to be engaged, not just observed. Early one evening, a party began to emerge down at the Marina Grande. People were gathering around a haphazard line of tents and food stalls selling everything from balloons to roasted nuts. A rainbow of fishing boats had pulled into the harbor and children skittered along the marina. My family had unknowingly stumbled upon the town’s festival of St. Anne. As we explored, we learned of the night’s highlight – a fireworks display. A sign promised the show would begin at 9:00pm and a passing local promised it was worth staying up for. As such, we determined to stake out a spot to witness what was promised to be an extravaganza. We secured a waterfront table outside a small bar and dragged enough chairs around it to hold our entire group. 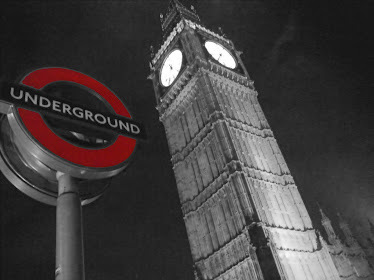 And we waited – because when Italians say promptly at 9:00pm, they actually mean about midnight. But when the show did begin a few hours delayed, it did so with an eruption. Audibly, the booms rocked the surrounding cliffs sending echoes reverberating down through the cobbled piers and onto the seawater. Visually, the Italian sky was lit up in a color array that would rival even the best gelato display. The fireworks show lasted for hours, seemingly unending, as if they just kept finding a few more shells under the seat cushions. My young daughter stayed awake for much of it, well past proper parenting hours. But the flocks of Italian children scurrying around the harbor reminded me we were far from America and far from any need for a reasonable bedtime. She ooed at the yellow fireworks the most, the ones that looked like lemon bursts. While the rockets blasted overhead, my family made a few toasts and sipped glass after glass of local limoncello. I thought about how hidden gems – food, gardens, fireworks, festivals – are sweet. But not in Sorrento. Finding a hidden gem here will pucker your smile and leave a sour taste in your mouth. And that's a very good thing. If she’s in the car and the tune pops across Pandora, she’ll sing right along with Maria as the nanny teaches the Von Trapp children how to do something they clearly already mastered. If we turn on The Sound of Music movie, my daughter will gallop around the living room as if she’s twirling around the green foothills of the Alps. And in all cases, my wife and I will at the very least hum along with her. 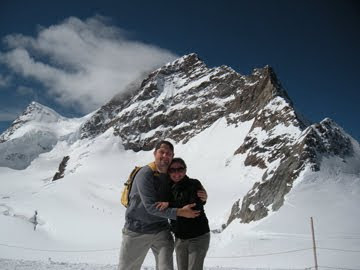 Regardless of location, one thing is certain: The Sound of Music and its songs do not escape one’s memory bank quickly. Rightfully so, based on the genius of Rodgers & Hammerstein and the virtuosity of cinematic legends like Andrews and Christopher Plummer. But the movie’s consequence is of so much more than just catchy tunes nagging at the back of our minds. The Sound of Music is a feast for the eyes as much as for the ears. The sweeping mountainscapes, palatial settings and historic scenes have become iconic in their own right. Take, for example, the glass gazebo that provided the romantic backdrop for Liesl and Rolfe’s upbeat ditty and for Maria and the Captain’s first kiss. Whereas the audible legacy of this cinematic classic is ingrained in song, much of the visual legacy is that of Salzburg, Austria. Hanging in my living room – right by the television where my daughter watches and mimics the youngest Von Trapp daughter – is a large photo of the Salzburg skyline, topped by the formidable Hohensalzburg Fortress. I snapped this picture from a vantage point down along the ridge that runs above the city, taken around sunset when the embattlement and the city spires were flush with pinkish solar hue. With a subtle, natural but vivid color spectrum spanning blues to oranges to pinks, this is one of my favorite travel photos. That might also have to do with the memories I have from my time in that exquisite city, and keeping the photo hanging in a prominent place allows me recall them frequently. 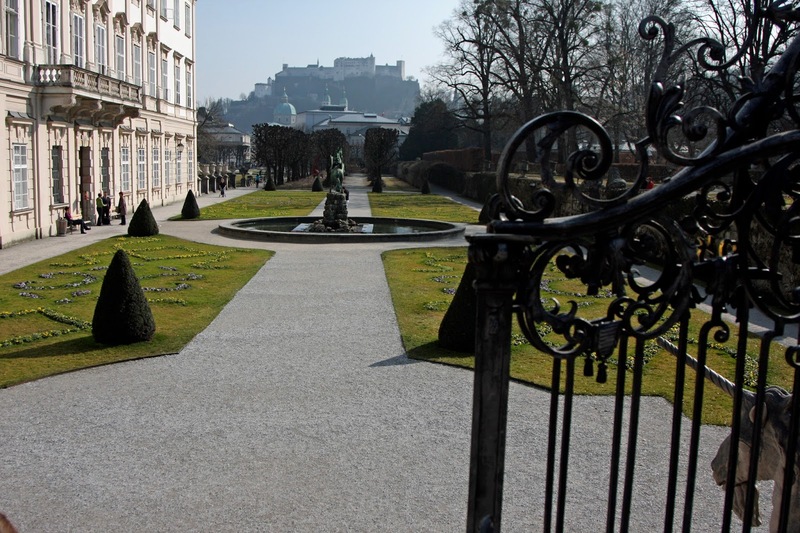 This panorama is spotted in the film during, “Do-Re-Mi,” and is just one of many of the film’s settings you can visit while in and around Salzburg. 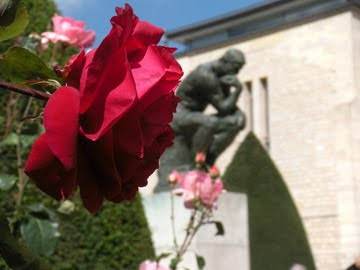 At the top of the list are the exquisite Mirabell Palace and the lush Mirabell Gardens. We took a pleasant stroll through the grounds, bumping into the gnome statues featured in the film, located in the Gnome Garden. We also weaved through the hedge tunnel, bobbed up and down the stairs, and circled the famous Pegasus fountain, just like the cinematic Von Trapp kids. 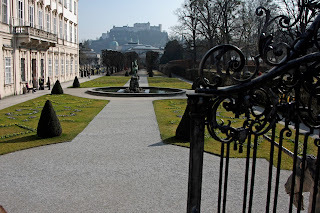 Even if you aren’t familiar with the movie – and full confession, I was not a huge fan prior to my own trip to Salzburg – visiting the film locations are still worthwhile. For more in-depth coverage, there are myriad tour companies around Salzburg that will whisk you away to film locations. We chose Panorama Tours and were rewarded with a jovial and informative tour guide, whose knowledge of history and architecture rivaled his ability to get the entire bus singing in harmony with Julie Andrews. The tour was worth it just for the opportunity to get outside the city limits to the beautiful lakes region. Passing several lakes and rolling green countryside, our bus arrived at Lake Mondsee, where we explored the picturesque town of the same name and its famous fluffy yellow cathedral, where they filmed Maria and Captain Von Trapp’s wedding. Our tour also stopped at Hellbrunn Palace to see the aforementioned gazebo, as well as Leopoldskron Palace, which afforded views of the mansion used for exterior shots of the Captain’s backyard. Salzburg itself benefits from its connection to The Sound of Music, but as a vacation destination the city hardly needs it. There is inherent charm throughout Salzburg, like so many Austrian and German towns, in its old town, its plazas and its people. We got lost trekking between buildings and emptied out into a wide plaza where local men were engaged in a game of chess. But not just any chess – oversized two-foot chess pieces on a chessboard painted on the ground. 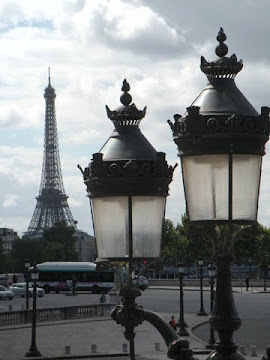 We sat and watched while they battled and horse-drawn carriages trotted by. As Mozart’s hometown, there are numerous opportunities to experience the town’s contributions to the musical spectrum, such as the musician’s birthplace or Mozartplatz, which features a statue to the virtuoso. The impressive Hohensalzburg Fortress heaves above the city and from it, the hike along the ridge provides one of the most stunning panoramas in Europe. But the view is not the only reward. We trekked to the Augustiner Braustuebl, a sprawling, boisterous brewpub drowning in beer. The spectacle is as awesome as what fills your massive stone stein. To get a beer, I stood in a line that snaked past wooden shelves covered in huge mugs. Not knowing protocol, I did what the locals did: grabbed a couple steins, washed them out in the constantly running stone fountain and arrived in front of the mustachioed kegmeister. He asked simply (in German), “light or dark.” Then stepped back to the two gargantuan wooden kegs behind him, filled them to sloshing and shooed me away, beers in hand. Outside the lodge, the wind carried a bitter winter chill. 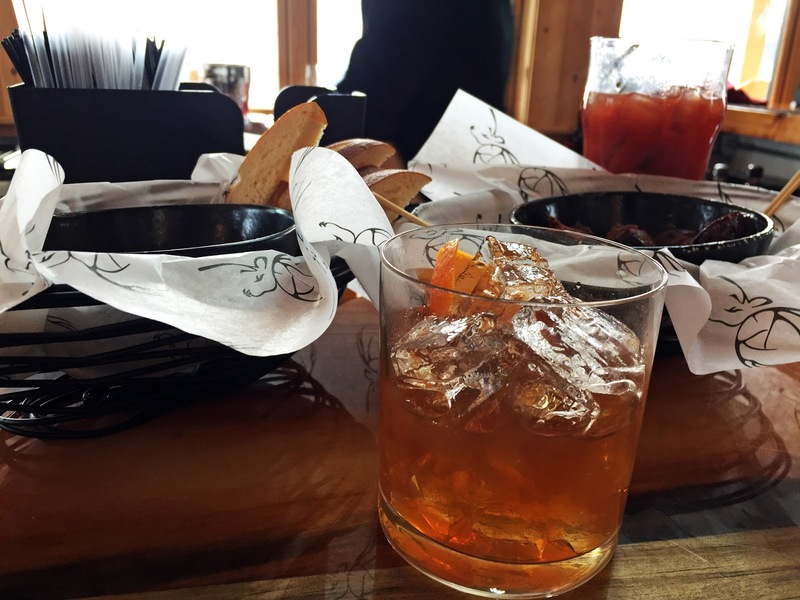 Inside, the bartender carried over a chilled glass filled with house-infused bacon bourbon. Each smoky-smooth sip thawed my fingers and soothed my sore feet still cramped inside ski boots. I lounged back and watched out the window as some skiers whistled by, while others came to a crunching halt and clomped into the mid-mountain lodge to join me at the bar for a well-deserved mid-morning breather. A short while later, after my glass was drained, I geared back up and returned to the trails relaxed and refreshed. As my ski tips fell over a rise, I thought of the sign again and realized it was more than just a cheeky marketing slogan. It was a communal motto and a precise description of life at New England’s only private ski resort – The Hermitage Club at Haystack Mountain. 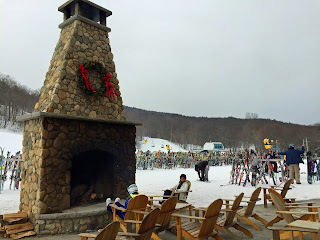 Located in Vermont’s Deerfield Valley, adjacent to Mount Snow, The Hermitage Club is the ambitious venture of Connecticut businessman Jim Barnes, who began purchasing area property in 2007. He ultimately combined a faltering ski resort, Haystack Mountain, with inns and other properties to create The Hermitage Club, a four-season private club community that is the only establishment of its kind in the East. Modeled after the Yellowstone Club in Montana, Hermitage brings the feel of the high-end mountain community getaways that abound in the American West, over to this side of the country. “He [Jim Barnes] wanted to create a unique, hassle-free luxury ski experience for families,” said Meridith Dennes, Senior Director of Marketing, Advertising and PR for The Hermitage Club. The Hermitage caters to high-end fantasies, but not only in the sense of luxuries, service and extras. The club also expertly straddles the line between a family and an adult destination, offering guilt-free vacationing that provides something for everyone. “It works really well having that balance; the time you spend together as a family and the time you spend individually,” said Dennes. During my weekend visit, it all amounted to a noticeable sense of contented freedom, an unwinding of tension and an elusive level of relaxation. Like any high-end private club, be it country club or yacht club, luxury is the norm for Hermitage members. And with an $85,000 initial membership fee (plus annual dues), that should be expected. But they offer members numerous guest passes, and the infrastructure and amenities are lavish and high-end without being overly ostentatious or gaudy. The rustic atmosphere, while gilded, manages to be as welcoming as it is impressive. The main base lodge offered valet parking and ski valet services, along with member locker rooms and other conveniences. But the real attraction there was the lodge itself – a soaring, stunning wood and glass chalet, complete with an outdoor stone fireplace just as grand as the centralized one indoors. Besides the multiple bars, food options and stage where weekend acts the likes Huey Lewis and the News come to play, the main lodge also featured a relaxing spa, modern fitness center, pools, game rooms and more. Members and their guests can opt to stay at condos near the base of the mountain, or at one of the partner inns owned by Hermitage a short drive away. I stayed at the Snow Goose Inn, which embodied a quaint country B&B. But the rooms were sleek, with the same balance of updated and bucolic that is exhibited across the Hermitage properties. The options will only be growing, as Hermitage recently received the green light for its long-term expansion plan. Over the next ten years, they plan to add 550 units over the face of the mountain, in the form of townhouses, single-family homes, condos and a hotel slated for opening in 2019. Although the Hermitage properties have an exclusive feel, the resort’s location within the small mountain enclave of Wilmington, Vermont, and adjacent to the larger and more bustling Mount Snow ski resort, ensures guests have options. One downtown eatery, the Cask & Kiln restaurant, drew us in immediately with its mix of sheik décor and rustic, casual charm. The dishes and drinks were expertly prepared, to the level of most big city fine dining. For all its other offerings, the mountain is the center of Hermitage’s appeal. Throughout my weekend visit, the snow conditions were superb, especially in the morning when we were among the first skiers, cutting through virgin corduroy on several trails. Quality conditions lasted for the duration of the day, despite bitter cold and strong winds that kept part of the mountain closed part of the day. The wind had little impact on the main lift, though, with its bubble cover and seat warmers to ensure you got to the top in utmost comfort. Around midday the more expert section of the mountain, called The Witches, opened up and provided a more diverse array of trails. And it shortened the already short lift lines, which is a boasting point for Hermitage. There was also a snow tubing park, outdoor skating rink and snow mobile rental center on site, all surrounding a bonfire pit. When the snow melts, Hermitage presents an abundance of reasons for members to remain engaged. Their 18-hole championship golf course recently underwent a facelift, resulting in updated rolling greens. They also sport a private lake with paddle boats and paddle boards, as well as access to a larger lake with speed boats for water skiing and tubing. 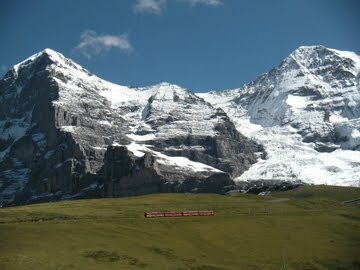 But the mountain again is the main draw, especially for outdoor enthusiasts. 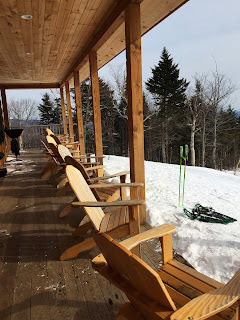 Haystack is crisscrossed by a variety of hiking trails, including a ridgeline trail that runs from the summit of Haystack over to the adjacent Mount Snow. 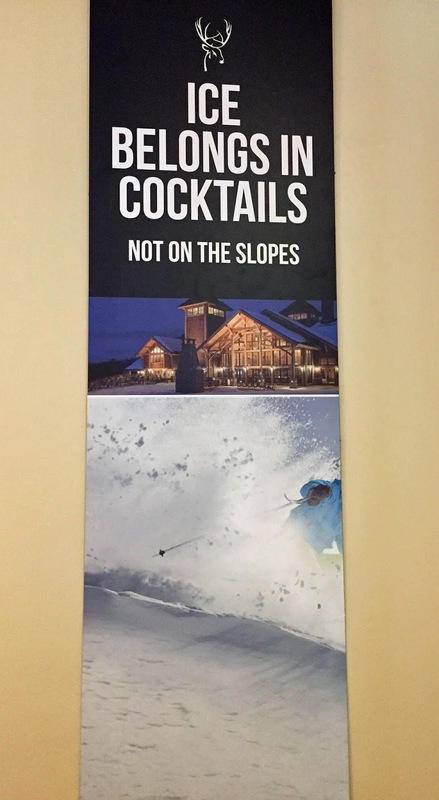 During our initial tour of the main lodge, I first noticed the poster with the slogan: “Ice belongs in cocktails, not on the slopes.” Shortly thereafter, we were told that the mountain opens from 9:00am to 4:00pm, but most people ski more like 10:00am to 2:00pm, with a few Bloody Mary breaks in between. The embracing of cocktail culture was admittedly surprising at first, but soon enough we found ourselves planning our day around a stop at the mid-mountain lodge (as it was suggested to us by numerous employees and patrons). The mid-mountain lodge was hard to ignore. It sat looming on an outcrop, in full view halfway up the main chairlift, luring skiers in like a timbered siren. The bartenders here crafted expert cocktails, like my bacon-infused bourbon beverage. A small bar menu offered filling fare, like cheese fondue with soft pretzels and juicy grilled steak tip bites. The atmosphere inside was warm from the fireplace, from the libations and from the friendly conversation erupting amongst strangers. New skiers consistently streamed in, tore away their layers and took a break. Because it was halfway down the mountain, you had to earn that craft beer or spiked hot cocoa, which made it all the more satisfying. Ascending the mountain all the way affords slightly smaller and more curious bar options. At the Haystack summit, a small lodge houses a large table, a waffle chef that sends fresh-baked aromas wafting out the door every time someone enters, and of course, a small bar. With kids joyfully piling whipped cream onto fresh made waffles, and parents sipping cocktails off to the side, this scene was Hermitage in microcosm. If you’re in the market for a pricey private club membership, Hermitage offers you something unique in our region; but it also offers something for everyone. If you want to melt away under the soothing hands of an expert masseuse, tune out in the spa. If the ski conditions are at the top of your list, then get out there to the short lift lines. If you’re an avid hiker, explore their loosely travailed mountain paths. If the kids want to tube in the snow or the lake, bring them up any season. 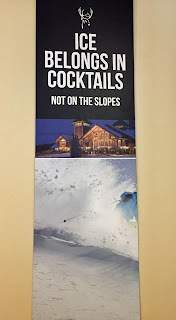 Or if, like me, you crave a finely crafted cocktail, they have that well covered too – just make sure the ice is in your glass and not on the slopes.